Discover “the ultimate experience” (Julia Fierro, author of The Gypsy Moth Summer) in modern fantasy with this astounding, epic conclusion to the Keeper of Tales Trilogy, bringing together the cryptic prophecy in The Mapmaker’s War with the troubling mysteries in The Chronicle of Secret Riven—leading to an unforgettable reckoning between lies and truth. Secret Riven—the mystically gifted heroine who now represses her uncanny telepathic power—works for the mysterious magnate Fewmany as an archivist in his private library. There, she stumbles upon the arcane manuscript that had vanished following her mother’s untimely death. She suspects the manuscript contains a profound secret, but she is yet unaware of its link to a thousand-year-old war and her own family’s legacy. 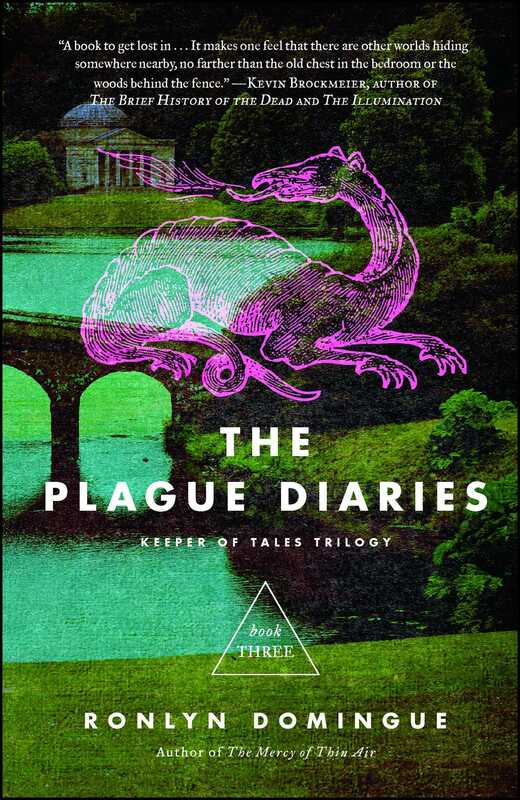 A dazzling, genre-bending masterwork, The Plague Diaries is “a fantastical adventure, populated by finely drawn characters and charted with marvelous plot twists” (Nicholas Christopher, author of A Trip to the Stars) that illuminates the power of our choices, the scars they leave, and the wounds they heal.